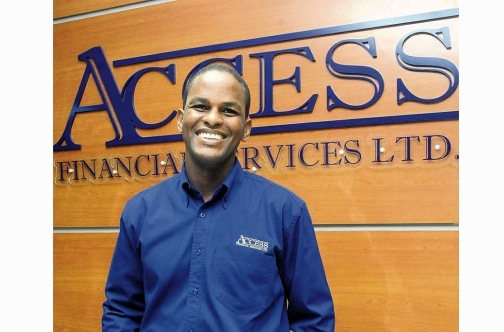 The directors of Access Financial Services Limited have released their unaudited financial statement of the company for the three months ended 30 June 2018, recording net profit after tax of JA$217 million, compared to JA$188 million for the corresponding 2017 period, representing an increase of 16%. On the income side, the company is reporting net operating income for the quarter of JA$433 million, Interest income from loans increasing by $61 million or 18% to JA$400 million, and net fees and commission for the period of JA$36 million. This as the company continues to employ strategies to grow the loan book by expanding their reach as well as, offering competitive rates and services to customers, this according to Marcus James Chief executive officer of the company. In his report to shareholders, James indicated that the net loan portfolio continues to show growth, with an increase of $586 million or 23% for the quarter under review; moving to $3.16 billion from $2.57 billion for the corresponding 2017 period. The Asset base of the company also grew by JA$665 million to $3.86 billion, he reported, which represents a 21% increase over the comparative period, which is in tandem with increased disbursements as they focus on improving their sales machinery and positioning themselves competitively in the market. Access Financial Services Reporting Solid Performance Recording 2017/2018 NPAT Of JA$716M On Revenues Of JA$1.7B. previous Honey Bun Sales Up 4% But Profit Before Tax For Nine Months, 17% Lower Than Last Year.